Earlier this week, Star Wars Books solicited feedback on the direction of the Expanded Universe on their Facebook page. I think this was a step in the right direction for Del Rey and Lucas Books if they are going to pull the Star Wars novels out of their current slump. While it’s a welcome change, it begs the question, what did the Powers That Be think was affecting their sales? Market decline in book publishing? The economy in general? A slip in fan interest in Star Wars? But wait… Star Wars as a brand is only getting stronger. Hasbro has kept the franchise as the number one toy brand for boys. The Clone Wars is the number one television show among young boys, and holds its own with others too. Star Wars references are more and more common all over popular culture. Unlike toys and cartoon shows, though, book sales tend to be a strongly female-centric market. Add that to other evidence like the equivalent gender split in attendance at Celebration V, the viewership numbers for the Syfy Channel, and Her Universe’s recent success, and it seems women are admitting their inner geek more proudly these days than ever before – and most importantly, putting their money where their mouths are. So in that light, one would think the sales of Star Wars books should be doing just fine. But they’re not. It makes you wonder when Star Wars, one of the most famous brands in the entire world, gets outsold by a series like Twilight, no paragon of strong prose quality or nuanced characterizations. The third book of the Hunger Games series just sold over 400,000 copies in one week; recent Star Wars releases are lucky if they sell 100,000 copies in an entire year. To my estimation, right now Star Wars isn’t even in the game, much less playing to win. In my recent Bad Romance post, I discussed my belief that a big part of the cause for the EU books’ decline was the sudden disappearance of the kinds of storylines that most female readers want to read. While soliciting feedback from Facebook starts to paint a picture, that’s simply dialogue among the existing fans, a demographic now heavily skewed toward men despite the fact that generally more women buy books. So how else should the Powers That Be conduct market research, then? What’s going to tell them what type of stories will work to turn their sales trends around? In the past couple of years, Del Rey and Lucas Books have publicly acknowledged on multiple occasions that they listen to fan reaction and use it to gauge their course forward, at least to some degree. For instance, the New Jedi Order (NJO) series consisted of 19 books written by 12 authors over a span of five years, often with several authors writing their respective books simultaneously. Unsurprisingly, this resulted in some well-placed fan criticism about lack of sufficient cohesiveness and coordination in plotlines and characterizations. Publicly acknowledging the validity of these concerns, Del Rey and Lucas Books announced that the next series, Legacy of the Force (LotF), would involve only 9 books by 3 authors over three years. This new series model was deemed more effective, but LotF was nevertheless criticized for its ultra-dark undercurrent and for each author’s contributions still being too independent from the others. 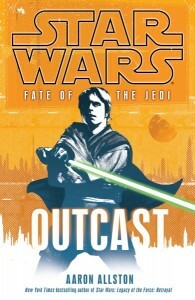 In announcing the next series, then, direct reference was made to goals of ensuring that Fate of the Jedi (FotJ) would have a lighter tone and even stronger interconnections among each book. But the decisions by Del Rey and Lucas Books didn’t always make sense as a response to fan feedback. For example, one thing the NJO did well was developing the next generation of Star Wars heroes, yet LotF and FotJ have steered away from the newer Jedi and back to the original Big Three. Covers went from sweeping spacescapes with multiple and fresh character images to single characters, most of the faces harkening back to the Original Trilogy. When they were asked about these shifts at public events like the Star Wars Celebration conventions, the editors and authors consistently answered that the fans were asking them for more books about the Big Three. Hearing those answers, I always wondered: What fans were those? Not the fans I knew. Obviously the Powers That Be were listening to someone. But who? Even within the terms of the Powers That Be’s online fan-opinion assessment, however, a fatal flaw lurked: they were only looking at part of the online fan community. The message boards at StarWars.com do not allow fanfiction at all. At the Jedi Council Forums at TheForce.net (TFN), there are separate forums for posting and discussing Fan Fiction and for debating and discussing the officially licensed Literature and other EU materials. Similarly, the fansite Wookieepedia, a repository of all manner of minutiae from every last nook and cranny of the EU, also only includes officially licensed content. The Powers That Be were listening at StarWars.com, TFN Lit, and Wookieepedia – but not TFN Fanfic. Now, I completely understand why Del Rey and Lucas Books steered clear of the Fanfic boards. It’s a well-known principle of intellectual property law that a creator should not view unauthorized fan-made derivative works; this avoids any possibility of a copyright infringement lawsuit alleging that a future authorized sequel rips off the original, non-infringing ideas contained in a prior unauthorized work. (That’s one of the reasons that the entrants to the official annual Star Wars Fan Films contest are required to sign over the rights to their entries to Lucasfilm.) But as I’ll explain more below, I don’t think the Powers That Be needed to actually read any fanfiction stories to keep tabs on the opinions and desires of its community. The exclusion of the fanfiction community wouldn’t have mattered much, of course, if its makeup was similar to the other boards the Powers That Be were examining and/or participating in. But the truth is far from that. It doesn’t take any sophisticated demographic research at all to figure out that TFN Fanfic is and has been predominantly female, while TFN Literature is and has been predominantly male. I’ll save for another post my discussion of why fanboys are drawn toward factual detail-oriented places like Lit and Wookieepedia, while fangirls tend to steer clear of those kinds of discussions. 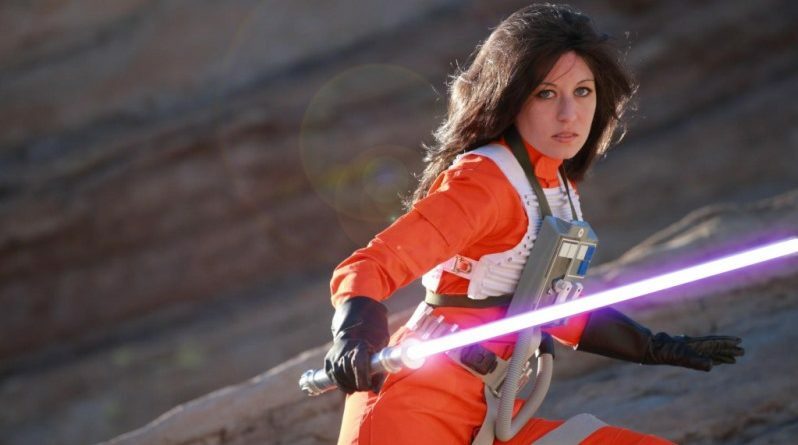 For now, suffice to say the crucial point is this: by ignoring the fanfiction community in their assessment of the online Star Wars fandom, the Powers That Be missed the perspective of the single biggest female-oriented segment of the fandom. Depending on who you talk to or what you read, the practice of fans creating stories within their favorite fandoms may not be viewed in a positive light. Fanfiction has been labeled everything from stealing to deviant, and the term fanfiction can be hurled like a slur around the internet and even from authors themselves. In some circles, being a fanficcer puts you in a category of “loser” right along with parents’-basement-dwelling fanboys and their comic book collections and D&D paraphernalia. Needless to say, that’s not my perspective at all. Fortunately, it’s not the perspective of Lucasfilm, either. 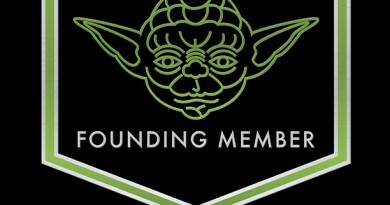 While only fan films have received official contest status – with a George Lucas Select award, no less – Lucasfilm has long given its implicit support to all manner of fan activities, including inviting the fan costumers from the 501st Legion to numerous Lucasfilm-sponsored public events, allowing fan artists to contribute sketch cards to the Topps card lines, and permitting the flourishing of fan art and fanfiction online. Fanfiction matters to Star Wars because fanficcers are different from other fans in several important ways. One I’ve already mentioned: the fanfiction community skews heavily toward female fans, in stark contrast to other segments of the online fanbase. When they’re not writing and sharing their own fanfiction stories, fanficcers often discuss the official stories, because of course those stories are the source material on which fanfiction is based. At TFN, this takes place in the Fanfic Resource forum, a separate discussion venue from the forums where the stories themselves are posted. While at times continuity errors and factual details are brought up, Resource threads tend to churn around issues of storytelling and characterization. In fact, I think most fanfiction writers understand that the minutiae can weigh down the art of writing, and for that reason they tend to not get hung up in the details. They understand that while canon-compliant details are important to Star Wars literature, those tidbits need to serve the story itself. At the same time, fanficcers purchase sourcebooks, novels, and comics just as eagerly as other fans, and they comb through them as voraciously as the continuity-minded fans outside of Fanfic. When they read, though, fanficcers tend toward scrutinizing the writing itself: characterization, storytelling, point of view, pacing, and the rest. That probably explains why, although fanfiction stories are off-limits to the official authors, at least one, Jan Duursema, has ventured into the Resource discussions on her work for Star Wars: Legacy. Similarly, I think it merits pointing out that the etiquette within the fanfiction community doesn’t work in the same way as literature-focused forums, either. In TFN Literature negativity and criticism rules the day, while at TFN Fanfic the protocol for feedback for years has been a policy against unsolicited negative feedback (even if it’s constructive criticism), stemming from the mindset of “if you can’t say something nice, don’t say anything at all.” This same mindset transferred to the EU books, too, and it may have disguised the general mood of discontent among the subset of fans who would rather spend time writing what they’d like to read rather than dissecting something they’d wish Del Rey had never put on the shelf in the first place. Without getting too deep into the sociological and psychological differences between men and women, even beyond the fanfiction community I think it’s fair to say that disaffected women are much more likely to walk away from a fandom quietly than they are to go online to stridently criticize stories in which they have declining interest. That’s a big part of why the community of fanfiction writers is far less likely to engage in wholesale bashing of the EU. In fact, fanficcers have often come to its defense when many were crying foul. This is not to say fanficcers can’t be vociferous and angry or that they are immune to shouting at their favorite franchise or at each other; quite the contrary. But taking a look on any given day at the TFN Literature and TFN Fanfic forums, it’s quite easy to see that fanficcers deal with their displeasure for a series or a novel in a much different way than many of their fellow fans. This very thing is the most important difference between the fanfiction community and the rest of the Star Wars books fanbase: fanficcers don’t just tell you the kinds of stories they want to read, they show you – by writing them. If you want to know what a fanficcer wants to buy, just look at what she’s writing and reading. It’s that simple. Fanfiction stories can take many forms. Some, called “canon-compliant,” seek to tell additional stories within the parameters of the official storylines. For example, a fanficcer might write “missing scenes” that fill the gaps between scenes in the movies or chapters in a novel, or a short story speculating, after having read books one and two, on where the storyline will go in book three. Other fanfiction stories, called “alternate universe,” build from a premise in which things have changed in some pertinent way from the canon storyline. It’s the same idea as those “alternate history” novels shelved in the scifi section at bookstores, except set in Star Wars instead of the real world. From short stories to novellas and novels, fanficcers love these “what if?” ideas; some truly ambitious fanficcers have even spun out true alternate-universe epics consisting of multiple novel-length tales. Regardless of their form, though, all fanfiction stories have the same core element in common: a Star Wars story that a fanficcer felt enthusiastic enough about to write down and share with the world. It’s true that any particular fanfiction story is only one person’s version of the Star Wars they’d like to see, and standing alone each individual one might not be very significant. But the fanfiction community isn’t just the writers – it’s the readers, too. Fanficcers have access to hit counts and page visits at certain fanfiction publishing sites. For every one public comment, a story will have as many as 100 additional visitors. Many fanficcers track their counts on a monthly basis; we know and discuss this information among ourselves. The scope of those numbers might just surprise the Powers That Be, because the hit counters demonstrate that the active fanfiction community is a lot bigger than the pool of people who take the time to write and share their stories. Even more inscrutable to outsiders is the private message or direct email feedback that some fans choose when responding to fanfiction, a reflection of some fans’ fears about opening up within a public forum. Statistical data aside, in recent years comments like “I wish the EU had taken this direction” or “Why doesn’t the EU write more stories like these?” have become more and more prevalent at “alternate universe” fanfiction stories because the “canon” storylines just haven’t been cutting it. If Del Rey and Lucas Books want to know what a large group of fans want to buy, there is so much to be gleaned from this demographic. If they want to know what kinds of stories and characters truly inspire their readers – so much that those readers devote the time and energy to write more of it on their own, for no reward other than personal joy and maybe some positive feedback on an internet message board – it’s fanfiction they need to be looking at, not TFN Lit and not Wookieepedia. If they want to know what types of stories are being read and responded to favorably by fans, they need to proactively look to fanfiction for guidance. 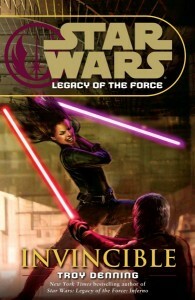 Here’s a prime example of how fanfiction fans respond differently than someone who simply reads: In 2008, Legacy of the Force: Invincible was being thrashed by some fans who felt it was too dismissive of the emotional ramifications of Han and Leia’s daughter Jaina Solo having killed her own twin brother to save the galaxy from the Sith. While many fans disliked the lack of post-mortem exposition, most were unable to explain what they would have written themselves had they been in the author’s shoes. It was simply a matter of, “Well, I don’t like it.” By contrast, many fanficcers, some of whom were also disappointed, reacted very differently. Rather than repeatedly harping on Troy Denning’s creative choices, they turned their energy toward creating those introspective moments for themselves in the form of fanfiction. The editorial staff at Del Rey stepped up and publicly defended Denning’s storytelling decision on the Starwars.com forums, and rightfully so. The discussions on fanfiction boards revealed fanficcers generally agreed with them. Fanficcers knew, from their own experiences writing, that another hundred pages to Invincible beyond the death of Darth Caedus (formerly Jacen Solo) would have been morose and boring for a majority of the readers. We found that the subtle cues Denning had included in the book were enough to convey the depth of everyone’s pain. Yet actually attempting to discuss the merits of the author’s portrayal decision proved an impossible endeavor when dealing with those fans who are happy to critique literature but don’t actually write. So like many of my fellow fanficcers, I turned my energy to exploring the emotional turmoil that engulfed Jaina after slicing a lightsaber through her own brother’s heart. In fact, having done so I’m actually happy this area was left for me to explore in fanfiction rather than defined within canon. As EU fans we got to explore a multitude of possible scenarios, instead of having one single perspective on Jaina’s grief locked in for everyone. This is undoubtedly an instance where looking to the fanfiction community would have confirmed that the books did something right. One final comment on the fanfiction community is probably in order. By definition, fanfiction is written by fans, and the vast majority of them are amateurs at the craft of writing and storytelling. They’re fans who write for fun, who’ve never been published and will never be published, and most of them don’t aspire to ever be a professional writer. They do not spend the time to write and rewrite, nor do they have the benefit of experienced editors. So yes, there’s a lot of mediocre, and some downright bad, fanfiction out there. The quality, or lack thereof, of any particular piece of fanfiction isn’t the point. Rather, the key is what fanficcers are doing: they’re exploring the possibilities left open in the official stories, like the nuances of Jaina’s grief in Invincible, and they’re fixing the parts of the official stories that they think are broken. Fanfiction stories show you what’s working, and what’s not, in the minds of some fans. For that reason, the fanfiction community, as a whole, can reveal very important information about trends of likes and dislikes. The year 1999 marked the theatrical release of Episode I: The Phantom Menace and the publication of Vector Prime, the first book in the New Jedi Order series. As speculation toward Episode II intensified and more NJO novels were released, the Expanded Universe had begun to re-energize existing Star Wars fans and captivate a whole new audience. While Darth Vader’s early life as the earnest slave boy plucked from obscurity by the Jedi developed onscreen, EU fans were enchanted by his namesake Anakin Solo, the youngest son of Han and Leia. As Anakin Skywalker’s fall to the dark side was forthcoming on the big screen, it appeared that Anakin Solo was destined to embrace the heroic destiny his grandfather would inevitably fail to grasp. Then in fall 2001 came Star by Star, and the untimely demise of Anakin Solo at the age of sixteen. His sacrifice to save his friends and siblings has cemented him as a true hero in the eyes of Star Wars fans. Dead before reaching manhood, the trials of life will never tarnish his choices or his reputation. The ironic twist is that his death, while adding to his heroic charm, happened for reasons beyond the story. Two Anakins simply could not exist; therefore Anakin Solo had to die. In 2002, Dark Journey and Traitor heralded a shift in focus to the character arcs for Anakin Solo’s older twin siblings, Jaina and Jacen. Matt Stover’s Traitor was lightning in a bottle, a fantastical philosophical study unlike anything fans had ever seen in an EU novel. While many focused on the literary feat of Stover’s master class on character development, Elaine Cunningham’s Dark Journey also had created a story that was a little different than what most EU fans were used to, with its focus on a female protagonist and her potential romantic entanglements. Dark Journey’s reception in TFN Literature, where the bias is undoubtedly toward male fans, was tepid; many simply hated it. No doubt it also suffered from the unfortunate luck of juxtaposition with Jacen’s epic journey in Traitor. Yet at the same time, a quiet tide was turning on the TFN Fanfic boards. In fanfiction, where women overwhelm their male counterparts by a tremendous margin, nobody was writing Traitor-based fanfiction about Jacen. Instead a new type of interest was gaining traction, and it had everything to do with Jaina and her relationships. With three more books also released in 2002, what began in Dark Journey continued in the Enemy Lines duology by Aaron Allston and Destiny’s Way and its companion e-book Ylesia by Walter Jon Williams. By the end of the year, the NJO fanfiction ‘shipping wars had begun in earnest. Some may believe women stacking up on sides, hell-bent on protecting the ‘ship of their choice, is a phenomenon that began with the Twilight series, but Team Jagged and Team Kyp created quite a furor in their day. 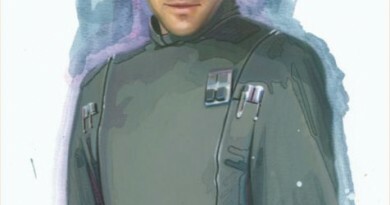 The earlier Dark Tide duology by Michael Stackpole had introduced a new character in Jag Fel, son of fan favorite Soontir Fel from the author’s earlier X-wing comic series. Jag returned in Dark Journey and played a major role in Enemy Lines and Ylesia. The character of Kyp Durron had appeared in pre-NJO novels as a troubled youth mentored by Han Solo and Luke, and in the NJO he took on the role of dissident foil to Luke Skywalker’s leadership of the Jedi Order and sometime Jedi mentor to Jaina. Although his role as a possible romantic partner for Jaina was swiftly ended in Enemy Lines, that didn’t stop many fanficcers from writing stories in which Kyp, not Jag, was the one who got the girl. Also in 2002, of course, Episode II: Attack of the Clones was released. Like its mid-trilogy counterpart The Empire Strikes Back, the central subplot of the film was a burgeoning romance, this time between Anakin Skywalker and Padmé Amidala. 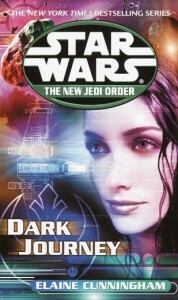 And just as NJO fanfiction was coming to be dominated by ‘shipper stories involving Jaina, so too the fanfiction focused on the prequel movie period was overflowing with countless stories of Anakin and Padmé’s romance: some speculating how their inevitable canon demise would occur, others writing alternate-universe visions sparing them that tragic fate. The year 2003 only furthered this momentum in the fanfiction community. 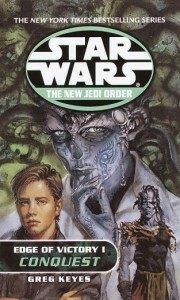 In the NJO, the Force Heretic trilogy by Sean Williams and Shane Dix continued to build the romance between Jaina and Jag, while also including a substantial amount of time to illustrating the strength and vitality of the Luke/Mara and Han/Leia marriages. 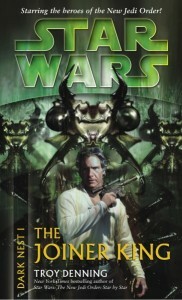 The novel Tatooine Ghost by Troy Denning, featuring Han and Leia as newlyweds two decades earlier, also was published in 2003. Together these four books offered some of the strongest couple-based storytelling of the new millennium. Considering Sean Williams and Denning are still writing in the Star Wars EU, it’s safe to assume that these earlier offerings met at least with some success. Within the TFN Fanfic community itself, 2003 marked a watershed year for an entirely different sort of reason. From the inception of TFN Fanfic to that point, all fanfiction stories had been posted in threads in a single forum. By 2003, with Episode II still fresh in the mind and Episode III speculation rampant, prequel era fanfiction was flying fast and furious. Inspired by the strong run of romance-focused stories from Dark Journey through Force Heretic, NJO era fanfiction was written and posted with equal enthusiasm. In this environment, story threads witnessed rapid-fire discussion and commentary among authors and readers, and threads with new story content could drop off the first page of the forum within hours. In May 2003, the frenzy of fanfiction activity had become so great that a literal shift in the forums was required. Three new Fanfic boards were created: Before the Saga for stories set prior to the films, The Saga for stories set during the timeframe of Phantom Menace through Return of the Jedi, and Beyond the Saga for stories set past the end of the movies, which included the NJO novels. Later that same summer in the community’s Summer Fanfic Awards, for the first time a majority of the awards were won by NJO and EU stories, rather than movie-focused stories. 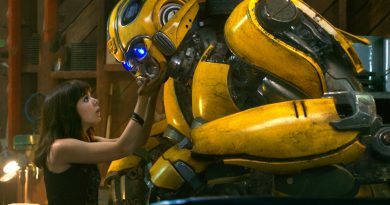 A complete shock to some, this result touched off a further community controversy which resulted in the awards process also being split by story era, so that movie and NJO stories would no longer compete head-to-head for community recognition. Sadly, that passion went unrecognized by Del Rey and Lucas Books. After 2003 we’ve witnessed a sharp decline in the number of Star Wars novels featuring those kinds of stories. The decline in excitement for Star Wars fanfiction has followed a similar trajectory. Movie-focused fanfiction began to taper off after the release of Revenge of the Sith in 2005, and by late 2006 was probably already at its lowest ebb since before the Attack of the Clones boom. Similarly, NJO era fanfiction lost its momentum when the subsequent stories failed to deliver on the promising setups and storylines from the NJO series. The dystopian Dark Nest trilogy, for example, triggered comparatively little fanfiction – and most of that involved alternate universe stories rejecting the premises and directions the trilogy had taken. As the years progress into LotF and FotJ, enthusiasm among the fanfiction community waned even further, with the official storylines no longer providing the inspiration for fanficcers the way they once had. In fact, many once-devoted Star Wars fanficcers left for other fandoms where they could find those stories – Harry Potter and Twilight in particular. The lesson to me is clear: Star Wars had an avid, excited fanbase of Expanded Universe readers, and lost many of them by failing to fulfill the promise of the stories they had been telling. It’s time to get them back, but that requires shaking up the general story development trend from Del Rey to include a broader variety. In addition to what can be learned by looking at the past, the current state of Star Wars fanfiction has lessons for the Star Wars books Powers That Be. In two eras, fanfiction is basically in the doldrums. There is hardly any Before the Saga fanfiction. There have been three Darth Bane novels, but one is hard pressed to find any fanfiction based on those books, which means they’ve not captured the female fanfiction writers’ imaginations. Likewise, there’s no Knight Errant fanfiction, despite the comic series and recent novel attempting to launch interest in that time period. The Saga forum is also a ghost town compared to its former glory. Much of this, of course, is due to fading of the prequel movies enthusiasm. There is some amount of fanfiction based on The Clone Wars, but the novels have done nothing to keep the muses flowing in this era. The most active forum is Beyond the Saga, but it too is a shell of its former self. What is there demonstrates the total failure of the post-NJO storylines in the novels. Where once there was great enthusiasm for the characters and their ‘ships, now there is low-grade activity. Ben and Vestara, the one romantic pairing the current FotJ series has chosen as a focal point, are virtually non-existent in Star Wars fanfiction. 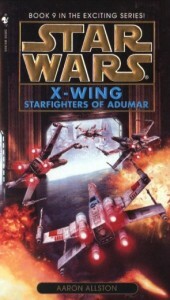 Instead it’s dominated by stories about Rogues and Wraiths and fan-invented squadrons, Jaina (almost always paired with Jag), Jacen (almost always before his fall to the dark side or an alternate universe where he never became Darth Caedus), and Kyp (generally paired with an original, non-canon female character), as well as several ‘ships inspired by the Legacy comics (include Cade/Deliah and Antares/Marasiah). If you really want to know how little Ben has stirred the imaginations of fans, at least those who write, just take note of the fact that his mother Mara Jade Skywalker and his cousin Anakin Solo consistently have more active stories than Ben does. It’s also worth noting that Anakin Solo died at an age roughly equivalent to where Ben is now in FotJ, yet fanficcers are more interested in writing about a character who died nearly a decade ago than one who’s been an active player in the last 15 books. Mara’s stories almost always involve her paired with Luke Skywalker, nor do fanfiction writers appear to have any interest in writing about the Jedi Grand Master without his wife, as LotF and FotJ have now forced the circumstances in the novels. Fanfiction writers also have taken under their wings and breathed to life characters who’ve been too frequently ignored in the novels, such as the Fels, the Antilles, the Horns. Starfighter aces like Tycho, Janson, Hobbie, and Face have their own rabid following and play a role in a good portion of fanfics. Fans practically squeal with delight when they appear in a tagline for a fanfiction, yet they’ve received only the slightest of cameos recently in the EU. 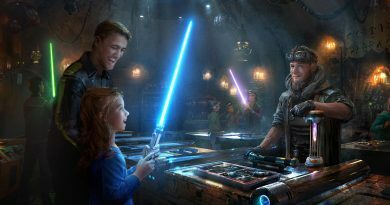 Fanfic stories continue to focus on camaraderie between fellow warriors and familial bonds at a time when the EU flagship series delves into stories about infighting among the Jedi and where dysfunctional family units are the norm rather than on the margins. While there are some fans who like to create original character stories or peel the layers of the onion back on the bad guys, which is what we’re getting in the books, fanficcers as a group have always tended toward developing their favorites already within the universe. They already see the potential for great stories that have been left underutilized. In other words, what we’re getting from the EU is only represented in the margins of fanfiction. When basically nobody in fanfiction is writing the kinds of stories that Del Rey is publishing, that’s a pretty powerful indication that they’ve completely lost touch with the magical enthusiasm for their stories they had hardly six years ago. As I said earlier, I realize there are a whole host of legal reasons why reading fanfiction stories is off-limits to the editors and authors at Del Rey. But the truth is, it’s not even necessary to enter the stories themselves to gain insight into the sort of things that pique fans’ interests. Every story thread title includes the names or initials of the featured characters, because that’s how a fanfiction author attracts readers into clicking on the thread to read what’s inside. Perusing the thread lists of stories at TFN Fanfic, or the similar story lists at fanfiction.net, it’s very easy to get a sense of the characters and topics that are being written. Resource discussions are restricted from self-promotion and therefore revolve around discussing characters, story development in canon, and the art of writing itself. If the lawyers are permitting the creative parties into literature-type discussions, the Fanfic Resource discussions are equally benign. To be honest, I don’t read anything near as much fanfiction as I used to myself, but just skimming the boards I can tell what’s stimulating the imaginations, particularly of female fans, because for the most part that’s who is writing fanfiction. So if Del Rey and Lucas Books want to recapture the magic, a closer examination of their fanfiction community fanbase is a good place to start. It’s a community comprised mostly female fans, and the trends in the industry are proving that the women are a solid demographic for buying books. The trends in the fanfiction community reveal what has and what will appeal to women. This is a group actually bringing their wishlist to life, so maybe it’s worth pulling back the curtain, just a little. The Powers That Be don’t have to read it, but they do need to enter the discussions, open up a dialogue, and pay attention. Tell the lawyers the truth – it’s market research. There is one final lesson to be learned from fanfiction that is a constant – past, present and future. Some fans hate change; they hate anything that is different from their expectations. And those fans will voice that opinion mightily and furiously. But that doesn’t mean they’re right, or that their view will be vindicated in the long run of the fandom. Back in 2003 at TFN Fanfic, some very loud fans of movie-based stories simply couldn’t acknowledge the rise of EU-based stories. Yet in the years since, EU-based stories have only grown in their dominance, and today a substantial majority of active fanfiction involves the EU. More recently, when the character of Ahsoka was first announced for The Clone Wars, some fans exploded with outrage, whether about continuity concerns or her attire or simply the inclusion of a teenaged girl in Anakin/Obi-Wan adventures. Yet George Lucas’s dogged insistence that her role was necessary to appeal to female fans has paid dividends in spades, and it’s hard to imagine that The Clone Wars would be the success it has become without her. So while it may be true that listening to the fanfiction community will result in more Star Wars stories that some fans will stridently dislike, the pitfalls of ignoring the fans who did very much like the romantic arcs earlier in the NJO have been far worse. There’s far more to gain from stopping the bleeding of female fans, and working hard to get them back reading the EU, than there is to lose from the small but vocal group that would complain about the shift. Fanfiction can assist in showing the Powers That Be a course for diversification in the stories they produce. As fans we should all wish for a future where EU books knock franchises like Harry Potter and Twilight down a few rungs, because that means our favorite franchise is working to engage all its fans. At least, that’s my dream – lots of Star Wars books. How much do you think Social Media such as Facebook and Twitter changed the POV of Fan Fictions, particularly in the SW Universe? Oh yeah, Team Jacob and Team Edward haven’t got anything on the J/J, J/K, J/Z wars back in their day. It’s sad how quiet the forums have become these days. Yet I have no doubt a set of GOOD EU books could set them on fire again. You’ve made good points about needing to appeal to a female audience. They don’t have to write gushy romance novels to do that, just find the balance I keep harping on. Action AND romance. Space battles and relationships (romantic and otherwise). Lightsabers, blasters, drama AND humor. And most of all, hope. Relationships are a sign of hope and the lack of positive relationships has been part of the dark aura dragging down the current content.